Power as a magazine or some sort of digital format. Don’t let this legacy die now. 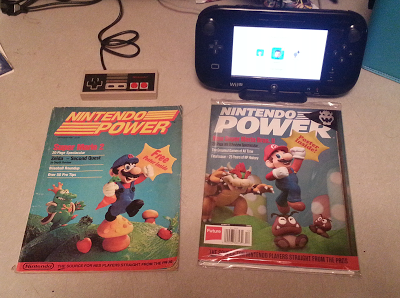 Sign our petition, join or Facebook, follow us on Twitter, join our events, write letters to Nintendo of America to let them know that you want the Power, Nintendo Power. I can help as I am a member of Operation Rainfall for a long time who helps with the change of gaming localisations and awareness. I may not know about the magazine but it is a hear to me. This is a must to keep this magazine because it is a memorable item that many read for the news on Nintendo's games such as their reviews, previews and news! Without it, the competitors will get the chance to steal the glory if Nintendo just isolates the media. I may be an Australian but a voice from Australia will help! I support this! Because I am Luffy III, editor in chief who supports gaming awareness and news on better localisation of games to the western region, I'm on Youtube on CAAGSpodcast, so feel free to email and send a post and I will gladly mention you in my podcast! OAuthException: Error validating access token: Session has expired on Sunday, 19-Mar-17 02:10:54 PDT. The current time is Thursday, 18-Apr-19 14:14:56 PDT.